Found this on a wall on a small street near Beverly and Kenmore. Whether you like or dislike graffiti art, you can’t deny the craftsmanship of this piece. 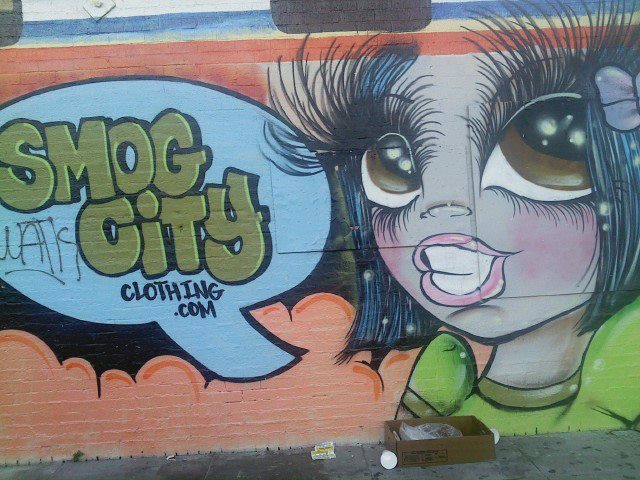 This entry was posted in street finds and tagged art. Bookmark the permalink. You know what’s hilarious? Someone vandalized the vandalization. Wwahaha! And those are some freaky eyelashes….